One of the more unusual Islay and Jura pictures I’ve ever posted here. Back in 2004 I visited the Isle of Arran and climbed Goatfell on what luckily turned out to be the clearest day of my stay. 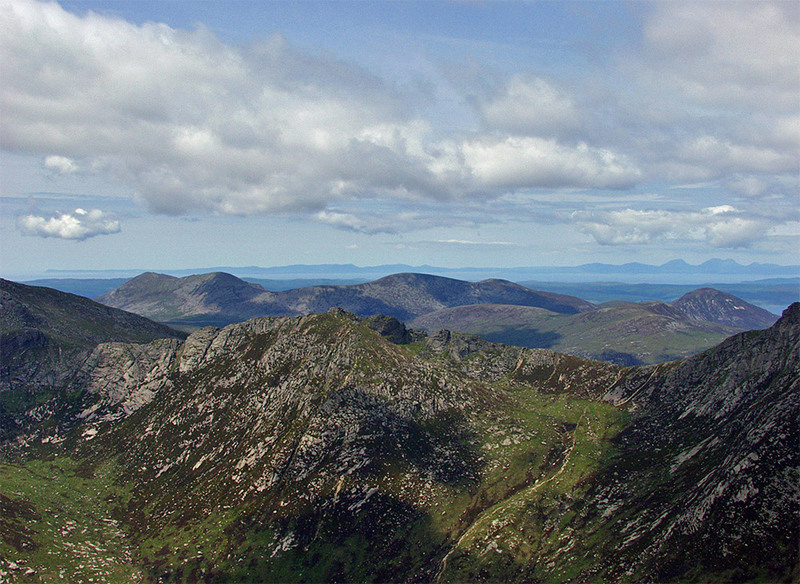 This is the view west from the summit of Goatfell, in the distance you can see both Islay and Jura. The Oa on the far left, the hills in the south east of Islay left of centre and the entrance to the Sound of Islay right of centre. The easily recognisable Paps of Jura and some of the other hills on Jura on the right. This entry was posted in Cloudy Weather, Landscape, New Post, Sunny Weather and tagged Arran, Islay, Jura, Paps of Jura, Sound of Islay, The Oa by Armin Grewe. Bookmark the permalink.